Chad P. Wick currently serves as a General Partner at MAYWIC Select Investments. Previously, Mr. Wick was a commercial banking executive and leader of an educational organization in the U.S. He co-founded RISE Learning Solutions and was the Founding President and Chief Executive Officer at KnowledgeWorks Foundation. Mr. Wick also served as the President, Chief Executive Officer and/or Board member of institutions including Ameritrust, Southern Ohio Bank, and Shawnee Life Insurance Co. and Mayerson Company. Dr. Wick currently serves as a Director of Operation Respect, and ACT, Inc. and as Trustee at New Tech Network. He is also a Purpose Prize Fellow an Ambassador of Texas Woman’s University. Prior to this, Mr. Wick served as a Director of InQBate Corporation and ChoiceCare Corp. 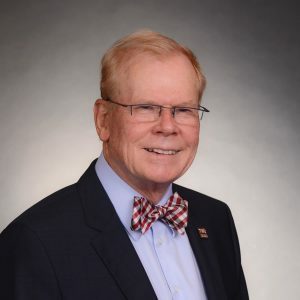 He served as Chair of Education Transition for Ohio Governor Dr. Ted Strickland and through his role as KnowledgeWorks Chief Executive Officer, impacted Ohio’s education policy. Mr. Wick is a Veteran of the U.S. Air Force and has participated in the Army War College’s Strategic Leadership Forum at Columbia University. He has built a major relationship with the Bill and Melinda Gates Foundation and created the fastest growing high school network in the country currently 150 schools in over 20 states (New Tech Network). He has been accorded many awards for education achievement in Ohio and nationally. Mr. Wick has received Honorary Doctorates from both the University of Cincinnati and Youngstown State University. He received an MBA with high honors from Thunderbird Graduate School and a BS degree from the University of Cincinnati.